← An affordable apartment in New York — can it be true? One of the reasons we are looking forward SO MUCH to our new laneway home is because every bit of it will be designed and built specially for us by Novell. Do we want drawers in the stairs for shoe storage? It shall be done. Sitting room and kitchen upstairs? Our wish is master to their deed. But some people don’t want to spend the bucks on a custom home — or don’t need to. They just want a rental unit or a studio that can house friends or visiting relations. You can still buy a standard plan from one of the laneway builders in town. OR, if you really want to save money, go with a pre-fab. 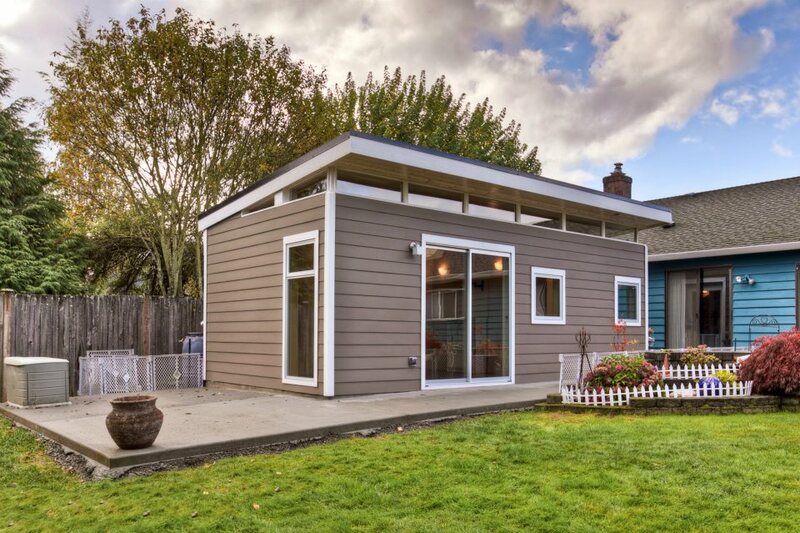 Westcoast Outbuildings will sell you a pre-fab home like the one above for less than $35 grand. (That doesn’t include permits, electrical, plumbing, or appliances, natch, and I don’t think it includes installing the concrete pad it rests on). It’s not for everyone, but don’t think you are priced out of the laneway home market just because you can’t — or won’t — pay for a custom build. Just a caveat — I ran across the Westcoast Outbuildings website and thought I would tell you about it. I haven’t had any contact with them and of course, I’m not taking any money from them. Also, I can’t confirm their claims that you can get a permit to build or live in one of their projects. Posted in Laneway House and tagged Lane Home, Lane house, Laneway House, tiny house, Vancouver. Bookmark the permalink.